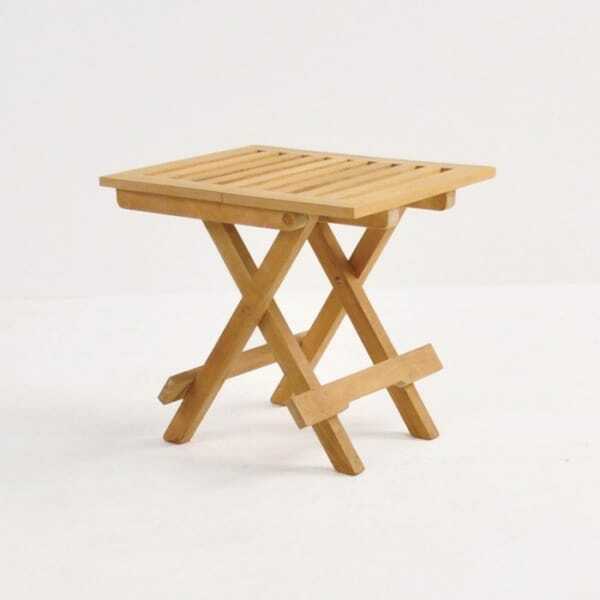 Boasting a classic design, the Picnic Small Teak Folding Table features a widely placed slatted table top and a unique folding design which enables a handle to be used to carry this table around – a splendid feature for picnics, beach parties, and excellent for easy storage. 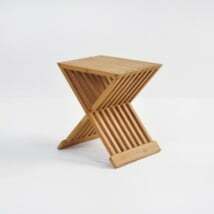 This brilliant and versatile table is 16 x 20 inches and is 17 inches high, ideal as a side table for seating units or as an additional serving table, made out of signature product; A-Grade Teak. W16" x L20" x H17"
Teak Warehouse is proud to have been using this stunning material in our products for over 20 years. 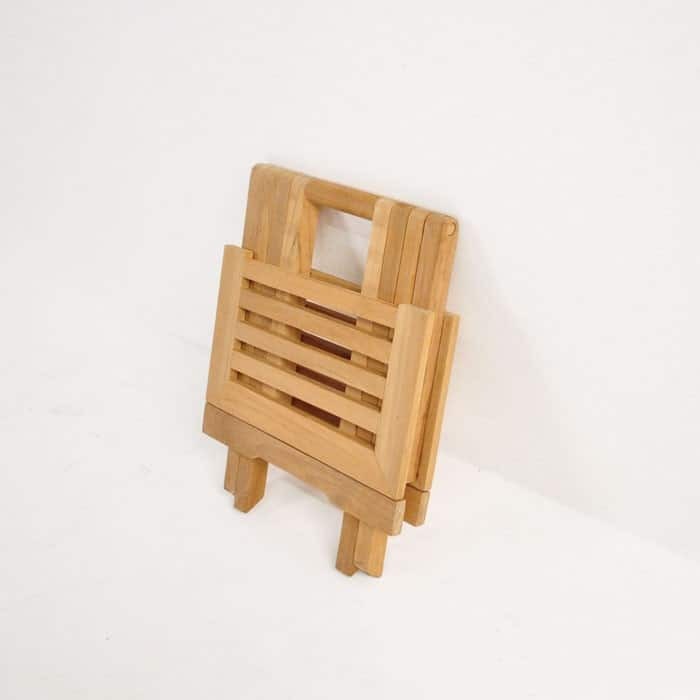 A-Grade Teak is gorgeous, hard wearing and easy to maintain. Pair up our Picnic Small Teak Folding Table with a folding A-Grade Teak Chair to match up and create a look you can enjoy in many different areas due to the versatility of the furniture! Have on hand in the trunk of your car for instant picnics, romantic beach dates or to add to the party! Place an umbrella over head to keep you and your delicious treats cool during hot summers! 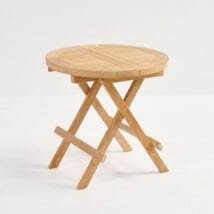 This perfectly proportioned Picnic Small Teak Folding Table can be set up as a year round piece for your patio in between a couple of more contemporary raw concrete or reclaimed teak stools or even some all weather wicker side chairs. The options really are endless with a piece like this! At Teak Warehouse, we are thrilled to bring comfort, luxury and wholesale prices to your outdoor living room with an incredible selection of items that enable you to make your backyard or patio into a retreat, where you have earned the time to relax and unwind in grace and style. As well as teak, we have a superb range of marine grade products that are as strong as our fabulous A-Grade Teak, while creating different textures, contrasts and colors so that you have the opportunity to make a significant change to your outdoors or keep in with the character of your home. Look into our three styles of All Weather Wicker, amazing Raw Concrete, Sunbrella®, Batyline® mesh, #316 Stainless Steel and rustic Reclaimed Teak products. We have everything to transform your space into an excellent bar area, or suitable for languid lounging, we have shading options with a range of cantilever and regular umbrellas, benches for the garden, deep seating for reclining or casual dining and of course an extensive amount of dining tables and chairs. 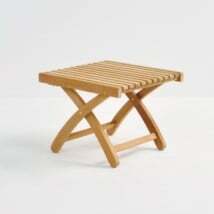 The Picnic Small Teak Folding Table is a must have. 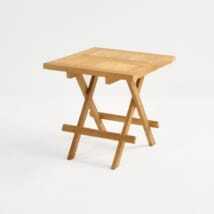 Purchase to mix and match with materials or to have on hand as an extra piece of dining when you need it! Teak Warehouse is open 7 days from 10am – we encourage you to call us to talk through what you are looking for and the space it is going in – we can offer options, quotes and a personal touch to help you make the best of your outdoor area. 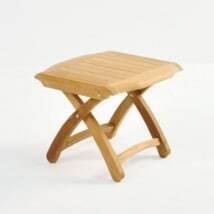 The Picnic Small Teak Folding Table is a gorgeous and convenient table that we recommend for every home!